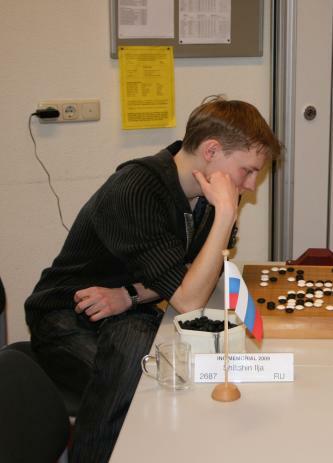 The Ing Memorial 2009 is an invitational tournament for European top players. 24 of the strongest European players are invited. They are competing for more than 8,000 Euro's in prize money. Amongst other players professionals Catalin Taranu 5p, Alexandre Dinerchtein 3p, Fan Hui 2p, Guo Juan 5p and Diana Koszegi 1p. Here is the game of the final round between Ilia Shikshin and Fan Hui which was broadcasted on kgs. 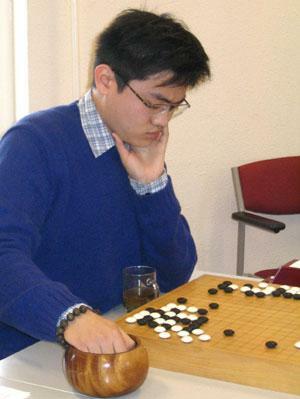 Before the final round Ilia had 4-1 record, losing only to Guo Juan 5p in round 3. Fan had a perfect record of 5-0 defeating top European players: Alexandre Dinerchtein, Catalin Taranu and Guo Juan. Ilia was the last hope for European players to defeat Fan, but the task turned out to be too hard, as we can see Fan didn't give any chance to Ilia, winning the game by resignation. The game was difficult from the early fuseki where Fan managed to kill w's group. This advantage was more than enough for Fan not to lose control and to follow the game to its logical end.